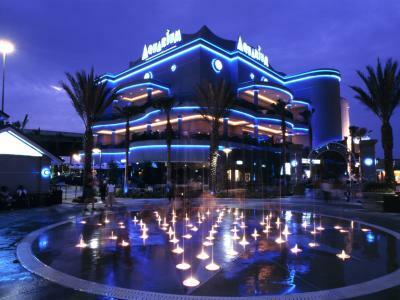 Magnificent marine life comes ashore in fun and fabulous aquariums on the Texas Gulf Coast. Stare down a giant octopus, watch sharks swim over your head, and find Nemo while learning about the habits and habitats of our fishy friends. 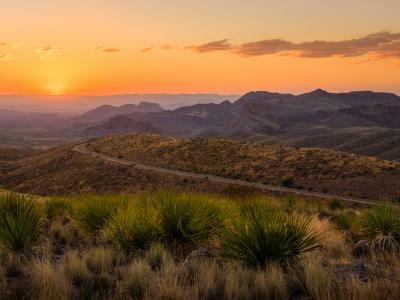 The typical Lone Star legend includes horses, cattle, and rattlesnakes, but with 600 miles of coastline that opens onto the Gulf of Mexico, Texas is also celebrated for its sea turtles, dolphins, wading birds, and other coastal companions—from amberjack to zooplankton. 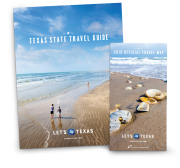 To shore up our knowledge of Texas marine life, we came up with an agenda of Gulf Coast aquariums and explored them all. The Downtown Aquarium in Houston was just a 10-minute drive from home, so we started there. The six-acre aquarium complex was hatched from a mash-up of two city landmarks—Fire Station No. 1 and the Central Waterworks Building. The result is a wonderfully watery home to more than 200 species from Texas and around the world. The exhibits are divided into different environments, so we saw octopi and eels in a sunken shipwreck, red-bellied piranhas and puffer fish in the rainforest, and several scary-big sharks in the Gulf of Mexico. Speaking of sharks, one of our favorite attractions was the Shark Voyage, a train ride that took us into a glass tunnel. The light at the end of that tunnel brought us into a 200,000-gallon tank containing a dozen or so of these razor-toothed beauties swimming all around us. It was a bit surprising to find animals that were real “fish out of water” at an aquarium: two white tigers. Rare and endangered in their native home of India, these extraordinary animals were brought to this custom-designed enclosure as part of an extensive conservation program. Forgoing the sea-themed amusement park outside, we had a seafood lunch at the Aquarium restaurant, watching a continuous parade of our entrée’s distant relatives swim by in a tank in the middle of the dining room. About 45 minutes south of Houston is Lake Jackson, home to Sea Center Texas. It didn’t take long to figure out that this wasn’t just your average aquarium. There was a redfish hatchery—the largest in the world—and a 600-foot boardwalk that took us on an adventure through the wetlands. After picking up a nature checklist at the visitor center, we strolled along the boardwalk, checking off the boxes for green tree frogs, dragonflies, turtles, and a variety of birds—ducks, ospreys, pelicans, and hummingbirds, along with migratory species like egrets and blue herons. We were bummed that we didn’t get to see the pink-plumed, flat-nosed roseate spoonbill, but admittedly relieved that we didn’t see one of the alligators that are native to the wetlands. Back at the visitor center, we wandered through aquariums representing the different Texas habitats. The Coral Reef had sea cucumbers—one look and it was obvious where the name came from—and numerous little “Nemos.” The offshore tank was home to the big fish—sharks, tarpon, gray snapper, and moray eel—in a 50,000-gallon pond. At the Touch Tank, schoolchildren were loudly daring one another to touch a large, skittering blue crab. At the quieter end of the 20-foot pool, we found the sea anemones. One gentle poke and the animal closed its feathery appendages around my offending finger. That same finger and the one next to it were crossed in hopes that the three-hour drive down to the Texas State Aquarium in Corpus Christi would be worth it. And it absolutely, positively, 100 percent was. Where to begin? In addition to the touch pools and six aquariums of colorful, darting fish, there was the Flower Gardens exhibit, a replica of a real coral reef located far out in the Gulf, about 300 miles out the aquarium’s back door. Porcupine fish, cow-nose stingrays—the name was totally apropos—and sleek barracudas mingled among the coral until a scuba diver sank to the bottom with snacks. At that point, it was every fish for himself. One amazing experience here flowed into the next. At Otter Creek, there were several adorable North American river otters that were native Texans, like me. They did me proud, executing a number of amusing tricks with their trainer. We met Bo, a 10-foot American alligator, at Swamp Tales and watched lumbering sea turtles become graceful ballerinas as they moved from land to sea at Tortuga Cay. A porpoise and a dolphin may look alike, but there are many differences that are easy to detect. To tell these two extremely intelligent mammals apart, look at their faces, fins, and figures. Dolphins have elongated noses (not stubby like porpoises), curved dorsal fins (not triangular), and generally are longer and leaner.